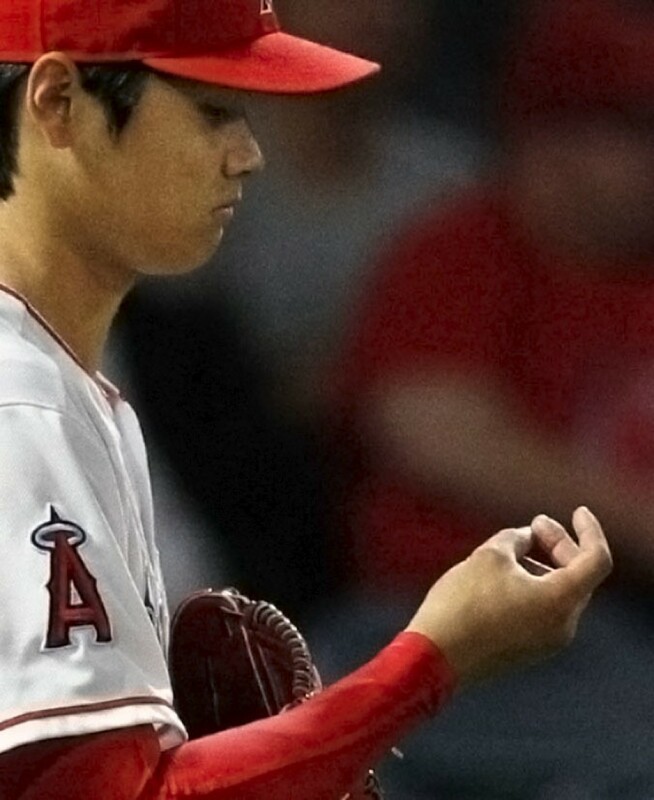 On June 6, Shohei Ohtani was sidelined with yet another blister, and because of a baseball- and knitting-loving astrophysicist, we now understand more about why Ohtani's blister developed. 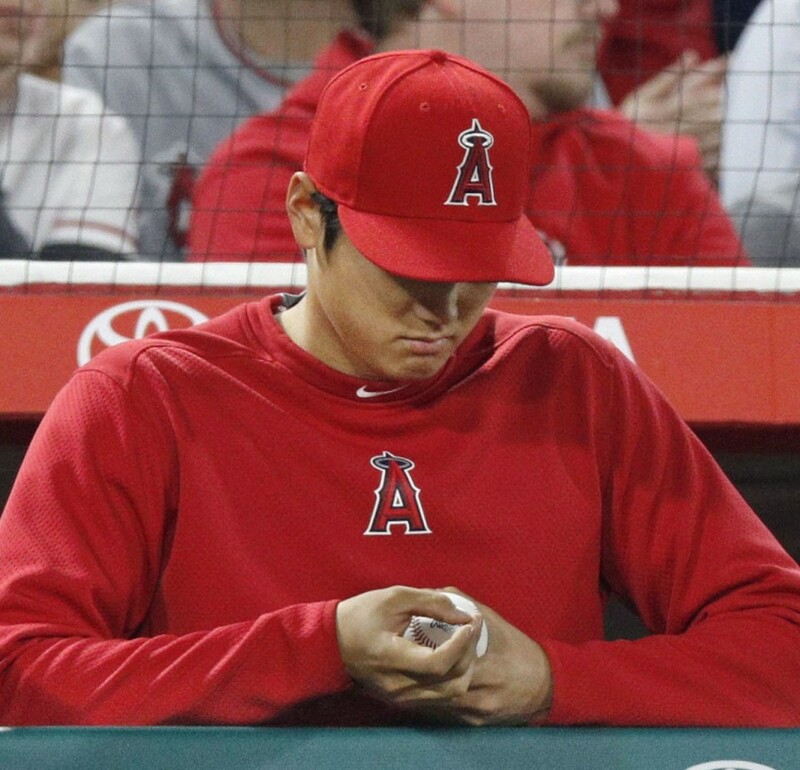 Although a shock to his many fans, Ohtani's injury represented just another data point in an increasingly frequent problem. Since 2016 more and more major league pitchers have been dealing with blisters on their pitching hands, but what was different about Ohtani's was not the nature of the injury, but its timing. Only hours before he was forced from the mound at Angels Stadium, someone at last had an answer for the blisters. Enter Dr. Meredith Wills, an astrophysicist who had made a career of studying the cause of solar storms. Major League Baseball believed its ball had not changed, but Wills discovered the laces on current balls were thicker, and the likely cause of the surge in both home runs and blisters. "In all my years in astrophysics, I never made a scientific splash like this. It's slightly overwhelming," she told Kyodo News soon after her research became a hot topic among baseball fans. And that's coming from someone who studied solar storms with the potential of destroying the electronic and electrical infrastructure the world depends upon. "I loved writing proposals for NASA because I could quite literally put wording along the lines of, 'If you don't fund my proposal, civilization will be destroyed,'" she said in a recent interview. Although a specialist at tracking large numbers of variables from satellite image data of the sun's corona, Dr. Wills' latest investigation was guided not by big data, but by two other passions, baseball and knitting. "I was born on Opening Day," said Wills, whose father took her to her first game three weeks later. "I don't remember learning to keep score because I was so young, and I've been an official scorer in some capacity since I was in high school." Likewise, her mother immersed her in the fiber arts, knitting, sewing and cross-stitch. Both her mother's parents had studied physics, while her maternal grandfather had worked in space flight and rocket design and provided the input and encouragement to complete her trifecta of interests. Those led her to knit unique items for the Baseball Hall of Fame, and to another project when she knitted using the yarn she pulled out of baseballs. Already familiar with baseballs' inner secrets, Wills began looking for answers in 2017 to baseball's major mystery. That summer, physicist Alan Nathan concluded that major league balls had been behaving differently since 2016 -- despite Major League Baseball's claims that nothing about the balls had changed. Nathan demonstrated that balls hit with the same trajectory and velocity in the same controlled environment -- the Tampa Bay Ray's domed park, Tropicana Field -- traveled farther than they used to. "There was a change over 2015, and then 2016 and 2017 were the same," Wills said. "I had balls from 2016 and 2017, and I thought maybe it was something about how the ball is being made. For me that means the interior of the ball." Having received a dozen 2014 balls from analyst Ben Lindbergh, Wills proceeded to carefully take them apart, and this turned out to be the key. She expected to look at 15 variables, but found nothing through the first 14. When she got to the last variable, lace length, providence smiled on her. "The pieces I had were between 80 and 100 centimeters long, which is an awful length to measure, so I was wrapping it around a cylinder of a known circumference and I realized that by the time you have three or four wraps around the cylinder, the laces looked different. It was a by-eye 'Gee that's funny kind of thing,'" she said. "So I thought, 'Wow. I should measure this, too.' So enter variable No. 16. And the very last variable that I hit upon by accident turned about to be the only one that is statistically significant in terms of the difference, and noticeably so. There's a 9 percent thickness increase from 2014 to 2016." Thicker laces are stronger laces -- meaning balls maintain their shape better, are more aerodynamically efficient after they are struck with a bat and thus fly farther. The discovery wouldn't have happened, Wills believes, without her background with thread and yarn. "I was already used to taking them apart in a certain way," she said. "Because of this fiber arts aspect, it didn't dawn on me to cut the laces. Of course, you unlace the laces. That's just how it works." "That's one of the things I hadn't thought about, but in retrospect, you talk to other people, who say, 'Yeah we took apart the ball,' which means one of two things. Either they took a hacksaw to it and cut it down the middle, or they took a razor or scissors and cut the laces off and open the ball. And that's the two ways people would open up baseballs and look at them." "I found out that the laces were different, and within a week or so after that, the (Major League Baseball) home run study came out and showed that the only different thing was the drag coefficient. I spent about two days kind of jumping up and down, 'Oh my God. They can't find the answer, but I've got the answer here.'" Another researcher who was not allowed to speak publicly about his work, spoke with numerous pitchers, recognized that the same stronger laces that made the balls fly more efficiently might be the reason behind the spike in pitching blisters. He spoke with Dr. Wills, and they put two and two together. "Basically, the laces are thicker on the balls starting in 2016," Wills said. "That means the seams themselves have more texture to them and therefore are sort of rougher. That makes it much easier to get blisters if you grip at the seams." So the good news is that the most likely cause of the pitchers' blisters is known, but even with that knowledge, the blisters are not going away. Pitchers can't just adopt new grips and pick up where they left off. According to one source, those who have tried to change their grips have altered their mechanics slightly and suffered hip and arm injuries in the process. Although that may not be relevant to what then happened to Ohtani. Two days after developing his latest blister he was diagnosed with an arm injury, a Grade 2 sprain of the ulnar collateral ligament in his right elbow. That injury required intensive therapy and he has only resumed pitching practice in the bullpen two months after his diagnosis. Wills, who saw Ohtani hitting in spring training before he made the batting adjustments that unleashed his early-season offensive explosion, is pulling for his return to the mound. "I definitely hope he makes it back to doing both," Wills said. "He's just such an exciting player."